Cloud computing is revolutionizing the way we work. Gone are the days of stacking, managing, and updating your server as there are cloud services that do all this automatically. Modern businesses are moving away from these expensive on-site servers and toward the cloud to lower costs and increase productivity. 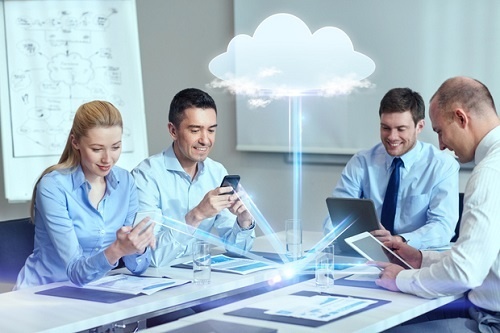 Cloud computing provides shared resources and data to computers and other devices over the internet, which offers a number of benefits to business operations. Cloud-based services allow you to scale up or down and add or remove resources as needed. This means you’ll reduce costs as you’ll only pay for the resources you actually use, which provides your business the ability to optimize usage. In addition, your workforce gains the flexibility to work from anywhere. By simply connecting to the internet, your employees gain access all the apps, documents, and data they need to be productive without being tied to the office. This will increase your team productivity and become a company perk for employees looking for a more flexible work-life balance. Every business should have a disaster recovery and backup plan, regardless of the company size. Unfortunately, recovery plans are often overlooked due to the complexity and cost of backend technology. Not to mention, no one thinks a tornado will hit their office until it happens and you lose all your precious data. In the past, only larger companies had the funds and manpower to implement successful data backup and recovery plans. Now, with cloud-based solutions, disaster recovery is less complicated and less expensive. Most cloud computing solutions have automatic backup features and offer many different storage options, allowing for a secure and affordable, yet effortless recovery solution. There are some common myths about the cloud that have lead some people to doubt how secure the cloud can actually be. In reality, cloud computing is actually a very secure option for most businesses. 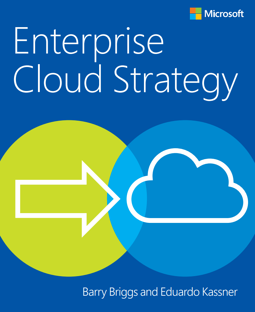 Public clouds such as Microsoft Azure are designed by nature to protect your information throughout the defense line. From next-generation firewall to malware protection software, you can be sure your data is always protected. Also, think about the nightmare that lost laptops can represent. If sensitive data from your company falls into the wrong hands, it can be a very expensive recovery process. With a cloud-based service, you can remotely grant/deny access to your data and in the event of a stolen laptop, you can even remotely wipe the data within minutes. Cloud computing has reduced the need for expensive hardware, especially for small to medium sized businesses. Subscription-based cloud services allow you to only pay for the resources you need, when you need it. Since the servers are hosted by cloud provider, you don’t need to worry about stacking or managing the hardware, which removes maintenance costs. In addition, the cloud provider is responsible for running regular software updates, including security updates at no extra cost to you. This leaves you free to focus on the things that really matter for your business. The cloud takes team collaboration to a whole new level. Teams can access, edit, and share documents anytime and anywhere, which can grow productivity. Cloud-based workflows and file sharing apps can help your teams make updates in real time and give them full visibility of all their collaborative projects. Still unsure if the cloud is right for you? Download our e-book Why Business Are Moving to the Cloud and learn more about the benefits and business outcomes you can achieve with cloud computing solutions and begin your IT transformation.